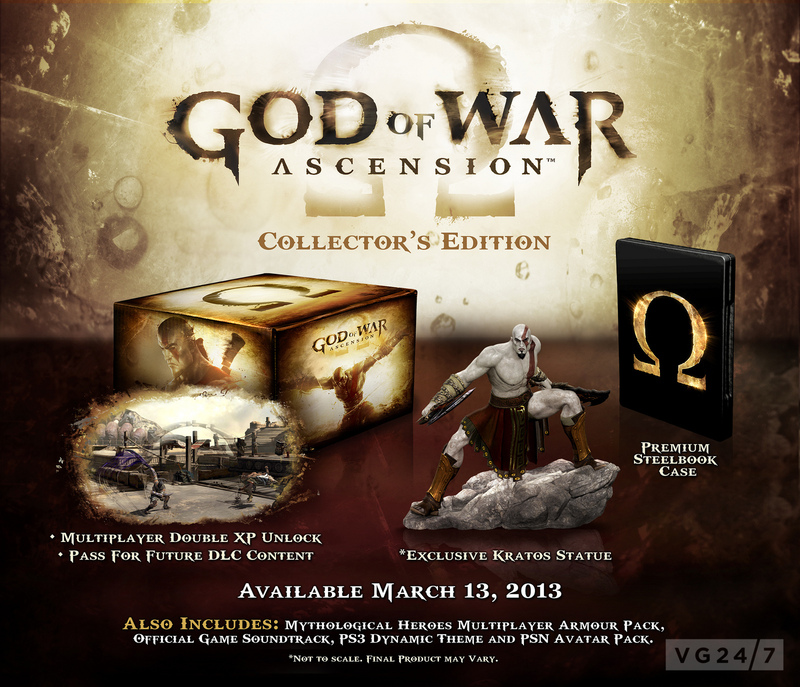 A God of War: Ascension Collector’s Edition has been announced alongside a Special Edition and the Mythological Heroes Multiplayer Pack pre-order bonus. The Special Edition features the premium steelbook game case, the multiplayer double XP bonus, official game soundtrack (digital version) and a PS3 dynamic theme and an avatar pack. 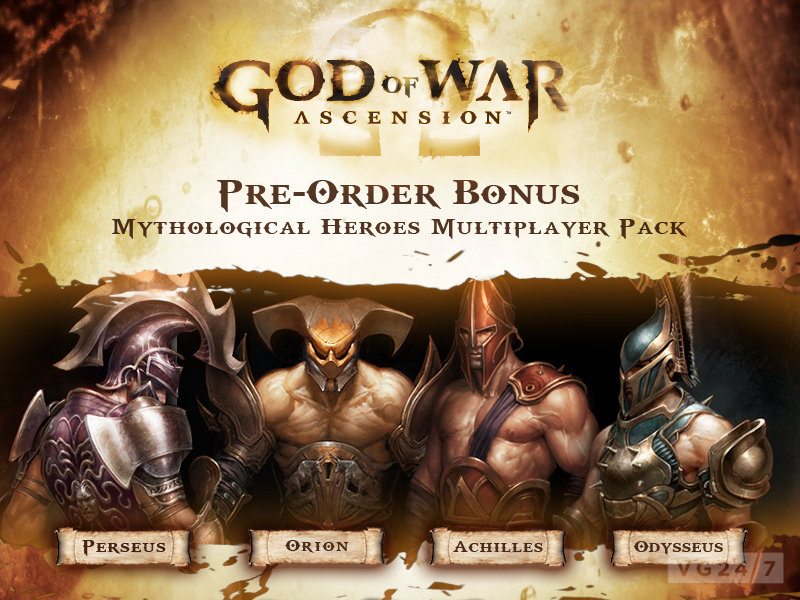 Those who pre-order the Collector’s Edition or the Standard Edition will receive the Mythological Heroes Multiplayer Pack featuring Perseus, Orion, Achilles, and Odysseus. Sony said it has more announcements coming Monday, October 15. 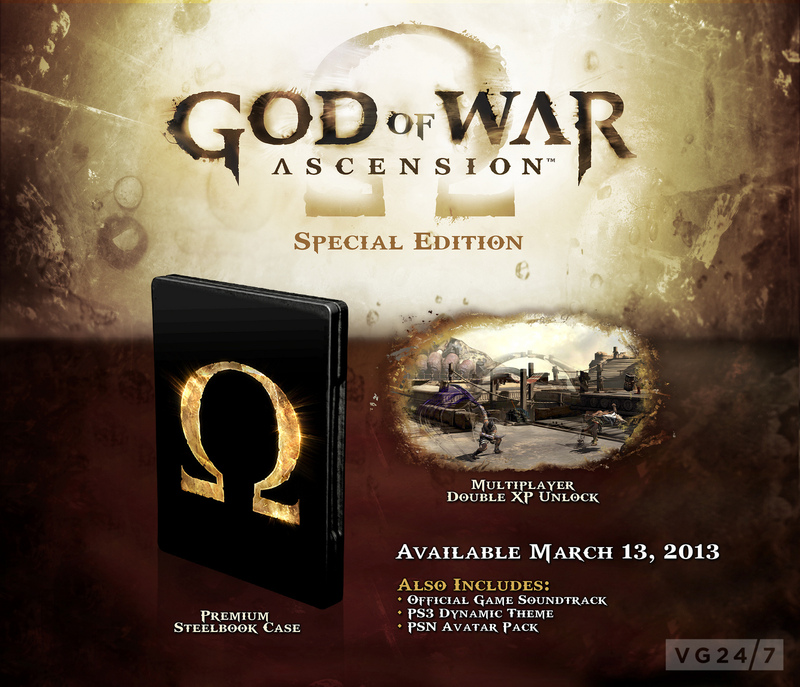 God of War: Ascension is out in March 2013.